Современная редакция перевода, выполненного Мартином Лютером в 1532 г. The Lutherbible without Apocrypha as standard edition in black cover.This edition is a classic for parishes: for confirmation classes, for Bible study groups and for reading along in Protestant church services In new German spelling and and new design, for all those who have opted for the new German spelling. The classic Bible translation according to Martin Luther. 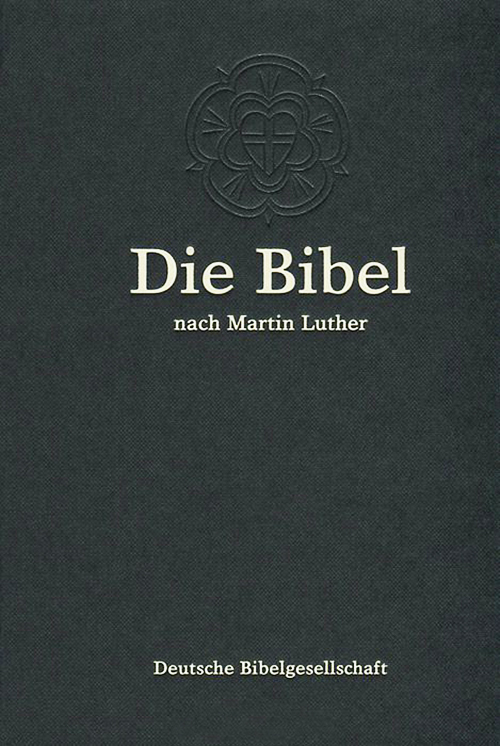 Official Bibel text for the Protestant Churches in Germany .Many different editions and configurations.Reader-friendly design, the text is structured in manageable paragraphs. Many valuable reading aids.